Primetime King Coco Martin returns to the “ASAP” stage this Sunday (Aug 20) to celebrate “FPJ’s Ang Probinsyano’s” 100th week on air and to pay tribute to the one and only King of Philippine cinema, Fernando Poe Jr. The celebration doesn’t end there as “ASAPinoy” also honors “Da King” to be led by tribute master Martin Nievera plus the best Kapamilya singers and OPM icons Kuh Ledesma, Rico J Puno, and Zsazsa Padilla. A special concert treat from Kathryn Bernardo and Maja Salvador plus Billy Crawford and Sarah Geronimo awaits viewers, while teen heartthrobs Inigo Pascual, Jerome Ponce, and Elmo Magalona also join the fun. Meanwhile, “The Voice Teens” Jeremy Glinoga, Mica Becerro, Isabela Vinzon, and grand winner Jona Marie Soquite also grace the “ASAP” stage. Finally, Ogie Alcasid launches his new track, while Kyla, Jay-r, Daryl Ong, and KZ perform unite in “ASAP” Soul Sessions. 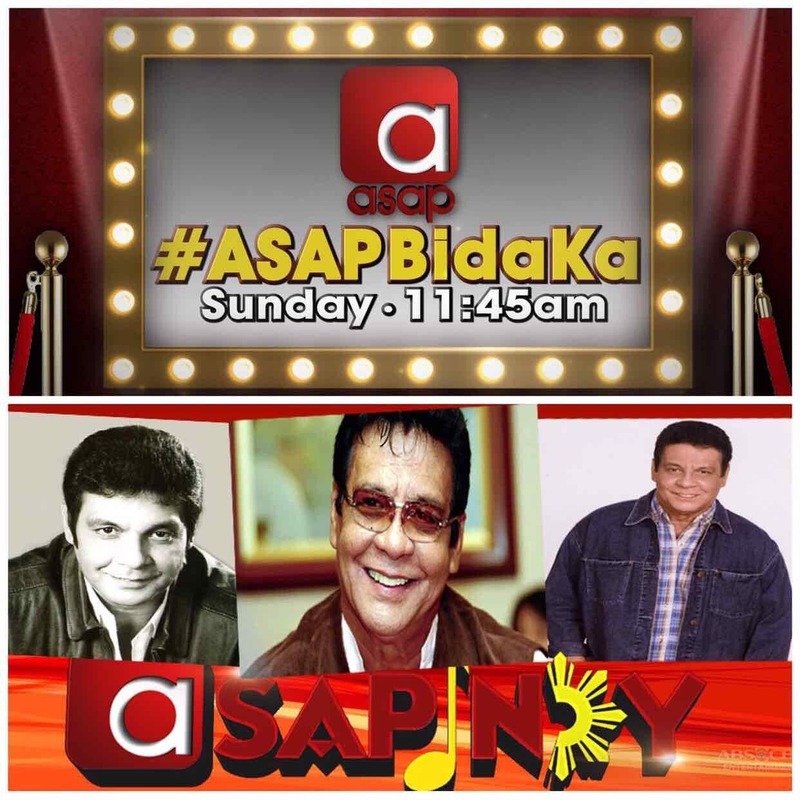 Don’t miss “ASAP” this Sunday (Aug 20), 11:45 AM, on ABS-CBN or ABS-CBN HD (SkyCable ch 167). Catch up via iwantv.com.ph or skyondemand.com.ph for Sky subscribers. Don’t forget to share your thoughts this Sunday using the official hashtag #ASAPBidaKa.